Tough season of transition for Telekom Veszprem came to the last month in which team from “Veszprem Arena” will fight for the Championship with Pick Szeged. 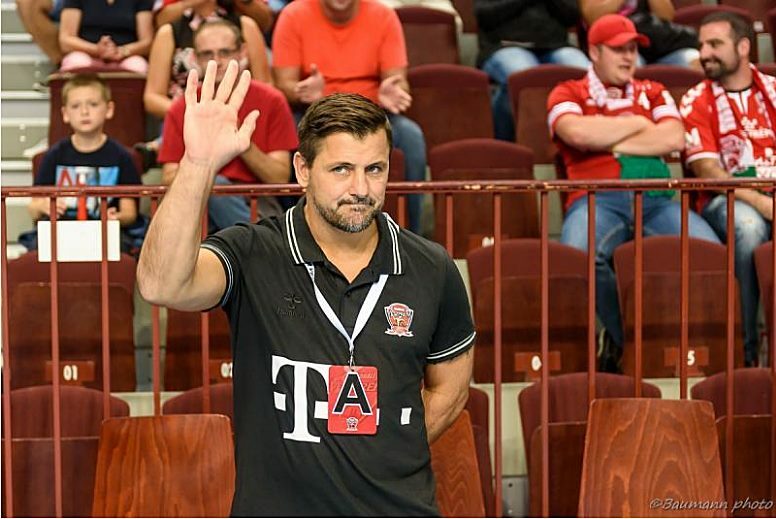 One of the most serious teams in Europe ended season at VELUX EHF Champions League in TOP 16 against Danish Skjern Handbold, which put a lot of pressure on coach Ljubomir Vranjes. One of the world’s best coaches came to Hungary with high expectations, but also aim to change structure of the team. This didn’t bring result at the start as EHF CL fall followed early elimination of the Hungarian national team at Men’s EHF EURO 2018 in Croatia. It was “be or not to be” moment before the Cup Final in Debrecen, but Veszprem managed to beat Pick Szeged for the first trophy of the season. It is never easy when the new coach came to the club and everything has to change. Coach can’t take 14 players which he wants according to his style of play. This season wasn’t positive, also injuries were a problem. Laszlo (Nagy) means a lot in both directions, also Accambray and Jamali had their problems. Skjern played very well, they surprised them in the first match. My opinion is that Vranjes needs more time to make his own plan with players which he picked up. The club needs to be patient, every coach needs a year or two to make the team. 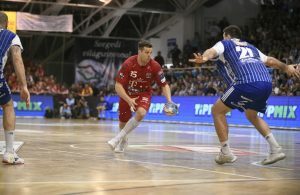 Pick Szeged are very close to Veszprem, so focus has to be on that – said Arpad Sterbik for Balkan-Handball.com. ← Previous Story Alex Dujshebaev to miss second match in Paris?